We flipped a 1924 village home around. A transformational addition contains open living space that expands three dimensionally to engage site, access light and commune with the sky. Complete accessibility is achieved by allocating the original first floor space as a master suite. This LEED-eligible house meets our aggressive commitment to sustainability by reducing its carbon footprint by over 50%, two-years ahead of the Architecture2030.org and AIA timetables. Radiant concrete flooring is warmed by a super-high efficiency boiler when the wood stove is not in use. LED lighting, soy-based spray insulation, natural ventilation, and a planted roof ensure a comfortable, energy-efficient, low-impact home. The splayed geometry originated from the turning radius of a small car from the shared driveway into the garage. 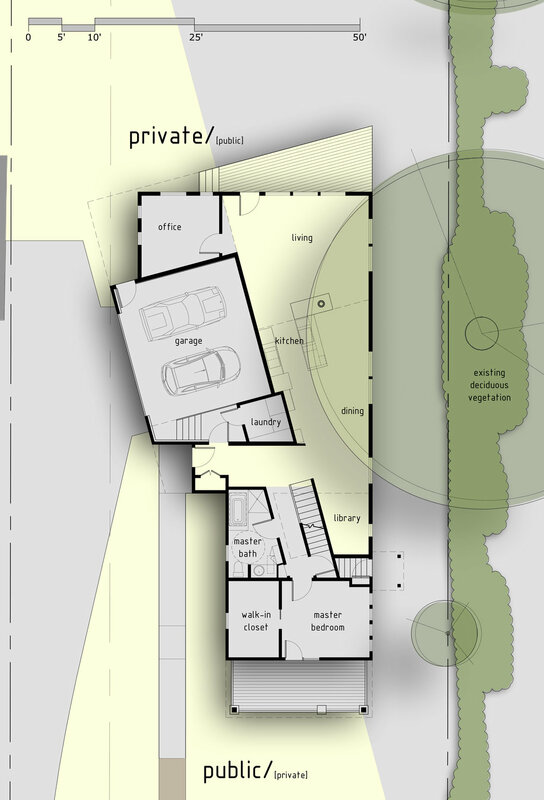 The extension of that angle serves to open the kitchen and living space to the intimate back yard and park beyond. 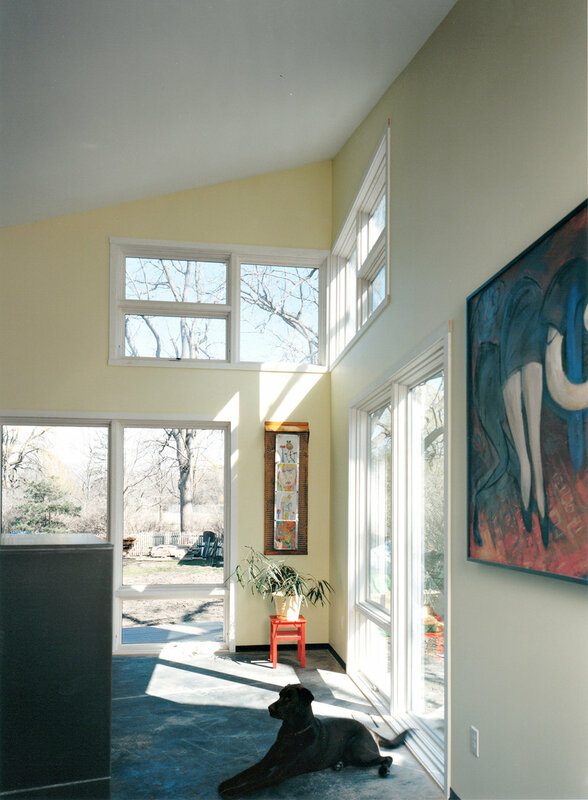 Windows on the south and east rise up over a neighboring fence to capture winter sunlight and connect occupants with the light and colors of the changing seasons. Finally, our integrated architectural and construction management services allowed for seamless decision-making and single-point responsibility.